Highlight your kitchen and bathroom cabinets with this classic Richelieu pull. Features a curved handle with spiral-detail ends and a variety of finishes. Transitional rectangular Richelieu pull. Beveled edges lend it discreet charm which is perfect for an elegant kitchen or bathroom dicor. 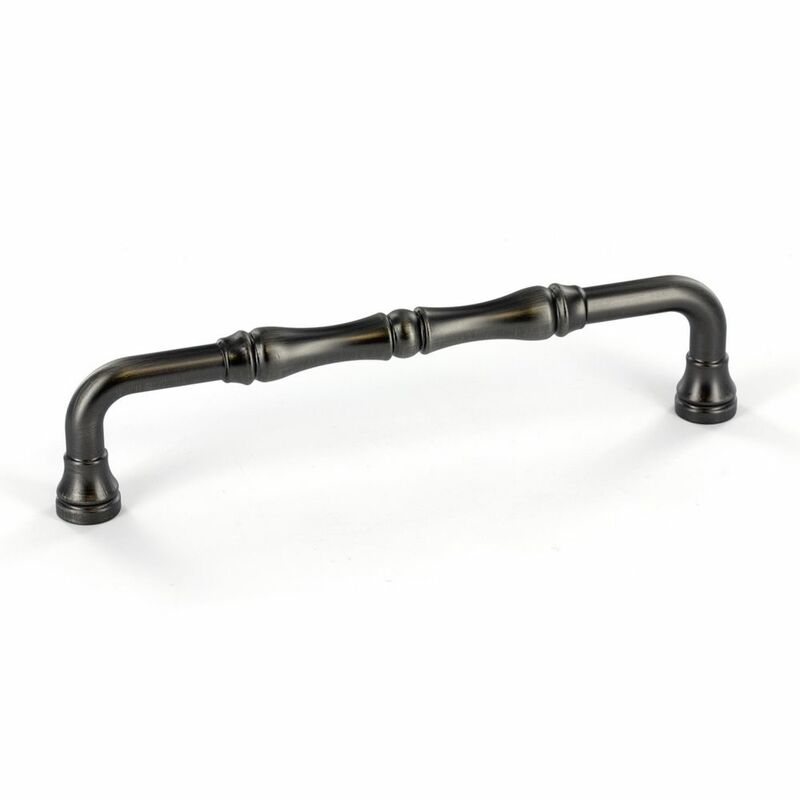 Traditional Metal Pull 5 1/32 in (128 mm) CtoC - Antique Nickel - Boucherville Collection This classic Richelieu pull will add a touch of elegance to your kitchen or bathroom dicor. Simple lines with interesting detailing on the center handle and ends.